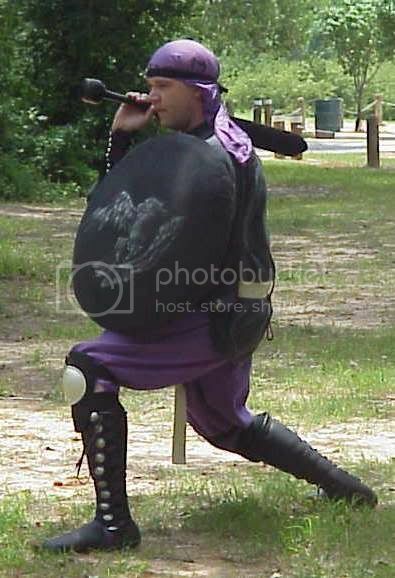 Sir Garath was an Amtgardian of such flare that his type of persona has not been seen since his disappearance from the Battlfields long ago. Garath was the first person in the Hills to take the Wizards class and make it his own. He set the standard for all future spellcasters to reach for. Sadly most of them fall short. Garath may have been known more for his skill at clearing a battlefield with his spells, but he could also hold his own against most foes while wielding weapons. No other Wizard of the Hills has made so many stick-jocks learn the rules of his class.